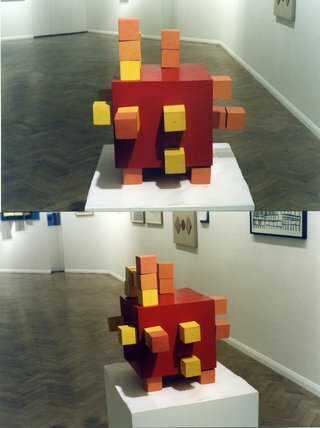 During 1962/3 Willats attended the Ground Course at Ealing Art School run by Roy Ascott and the course encouraged Willats’ growing interest in cybernetics and learning theory that can be seen in the Colour Variable series he made at this time. 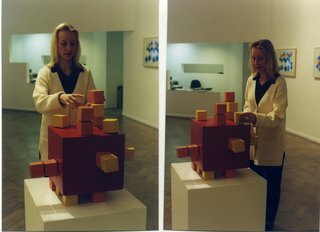 This moveable hand construction Number 3 from this series gives the viewer/participant the role of decision-maker in the arrangement of the smaller cubes and they then used a form to record the arrangement they had completed, thus enabling them to compare their decisions with those of other participants. These interactive elements were to be key factors in all Willats’ work.